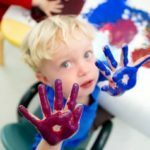 If you’re looking for some new craft ideas for Father’s day in Sunday School – you’re not alone. I’m always searching for new crafts for our kids. I wanted an easy craft, because in children’s church I have a wide age range. Here is what I discovered. If you know of another great resource, let me know in the comment section! Children love bringing home a special “gift” they have made for DAD. 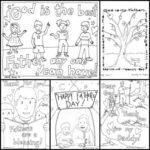 Our website has been adding new coloring pages for Father’s Day, usually something new every year. We’ve combined all these into one printable PDF document to make it easy for you. Just click on the preview image to the left to see them all. 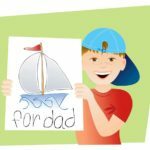 Father’s Day Craft (Hand Painting) – read directions and see a completed example of this craft idea for father’s day. A little messy, but not too crazy if you have enough paper towels handy. 4 Cool Craft Ideas for Father – Our writer Mimi has been collecting these ideas too. 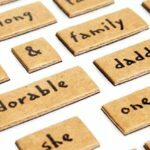 Easy Father’s Day Crafts – If you’re short on time and don’t want to gather a bunch of materials, this might be a good place to start. Picture Frames for Dads – These are always fun, especially if you have a printer handy to send home pictures from that morning in church. 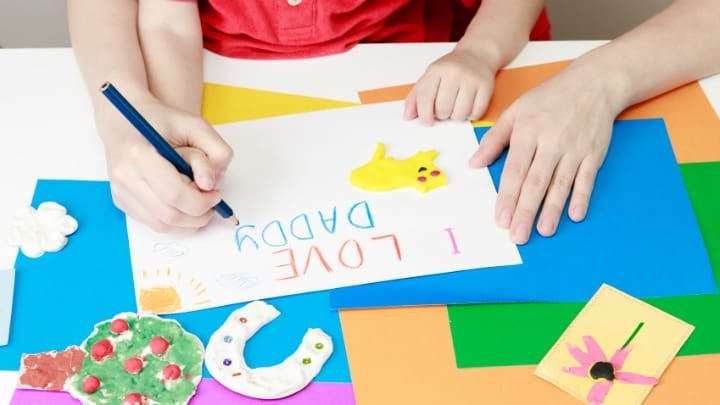 DLTK has dozens of Father’s Day craft ideas including cards, activities, and craft ideas that will help you find just the right activity for your Sunday School class. Danielle’s Place also has a solid selection of Father’s day crafts and gift ideas for dads. The only problem with this site is choosing which craft idea you want, they all look very good. Pinterest has become the biggest craft site on the Internet.